FOSTA presented a technical talk to MOM on engineering safety using FOS technology. Industrial safety is a highly regarded issue at the Ministry of Manpower (MOM), Singapore. Dr Dennis Song, FOSTA’s managing director, focused his talk on fibre optic sensor (FOS) technology and applications to broaden the engineering capabilities of safety measures to a group of officers and managers at the Occupational Safety & Health Division. FOSTA presented a paper on structural health monitoring at the IES seminar. Dr Dennis Song, FOSTA’s managing director, was invited to share his knowledge and experience at the Institution of Engineers Singapore (IES) Seminar on Buildable Design and Construction of Tall Buildings at the Amara Hotel. The other six invited speakers were Rose Guan from Building Control Authority, Khoo Peng Beng from ArcStudio Architecture and Urbanism, Yeo Choo Chong from Meinhardt, Sia Ai Ling from the Ministry of Manpower, Choo June Shyan from OTTE International, and Tan Sze Tiong from the Housing & Development Board. More than 200 engineers and academics participated in the one-day seminar. 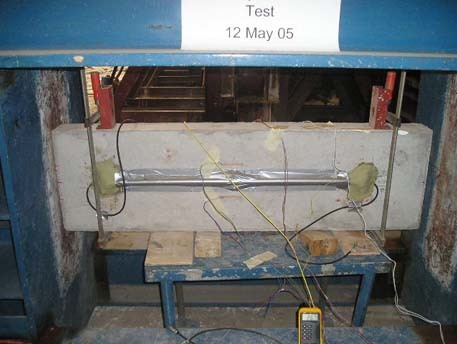 FOSTA conducted a second verification test of its concrete-embeddable fibre optic sensors on a reinforced concrete column at a laboratory of a Singapore government authority. FOSTA proudly tested its FBG long-gauge sensors by embedding into a reinforced concrete column at a laboratory of a Singapore government authority. The test was carefully planned, conducted, and compared with other scientific sensing devices. The results showed that the sensor readings were in excellent agreement with British standards, the Singapore code of practice, and other scientific sensing devices. 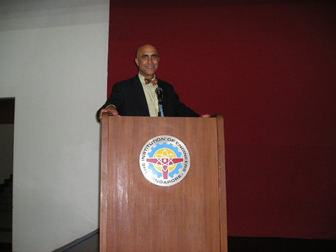 FOSTA’s partner, Dr Mo Ehsani from the USA, visited Singapore and gave technical talks and seminar at IES, HDB and BCA. 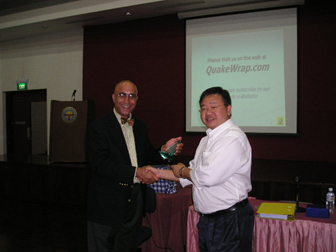 Dr Mo Ehsani, a professor from the US, is a pioneer and specialist in the fibre-reinforced polymer (FRP) wrap industry. His presentations on FRP Strengthening of Existing Structures and Seismic and Explosion Protection at the Institution of Engineers Singapore (IES), Building Control Authority (BCA) and Housing & Development Board (HDB), received a welcome response from a total of more than 100 engineers, managers and government officers. 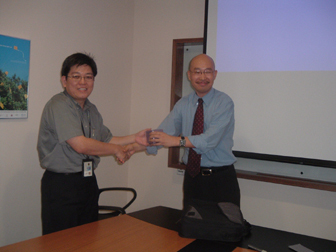 FOSTA sponsored a technical talk at IES on FOS for SHM. 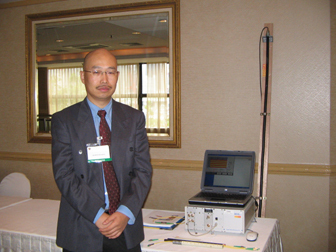 Dr Kevin Kuang from the National University of Singapore is an experienced fibre optic sensing (FOS) technology researcher. He was invited by the Institution of Structural Engineers (IStructE)/Institution of Engineers Singapore (IES) to give a technical talk on Fibre Optic Sensors for Structural Health Monitoring. Being the active FOS awareness promoter, FOSTA sponsored the event where 86 participants from various industries attended an informative evening talk. Dr K Murugappan from Multi-Con Systems Pte Ltd gave an in-depth presentation on Design and Construction of Temporary Works for Super-structure. 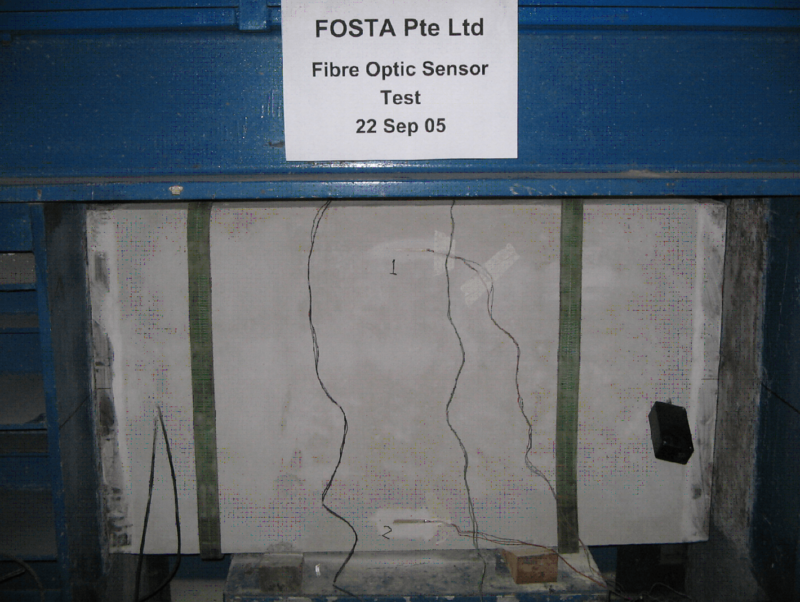 FOSTA conducted a verification test of its surface-mountable fibre optic sensors on a reinforced concrete column at a laboratory of a Singapore government authority. FOSTA proudly tested its 2-meter FBG long-gauge sensors by mounting them on a reinforced concrete column at a laboratory of a Singapore government authority. The test was carefully planned, conducted, and compared with other scientific sensing devices. The results showed that sensor readings were in excellent agreement with British standards, the Singapore code of practice, and other scientific sensing devices. FOSTA and AOS announced collaboration in the Asia region. 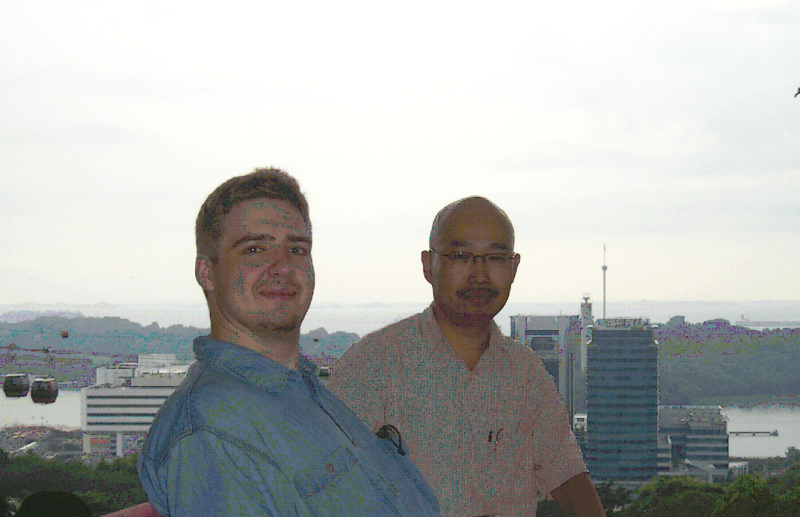 FOSTA and AOS GmbH, Germany, are delighted to announce their close collaboration in Asia. The collaboration combines strengths from the two companies in the areas of FBG sensor technology, instrumentation and project implementation experience. AOS’s earliest FOS projects date back to 1998. After 8 years, the sensors are now still in good working condition for the monitoring of concrete bridge performance. FOSTA prototyped the world’s first flexible FBG sensors. FOSTA prototyped the world’s first flexible FBG sensors by using aerospace composite technology. 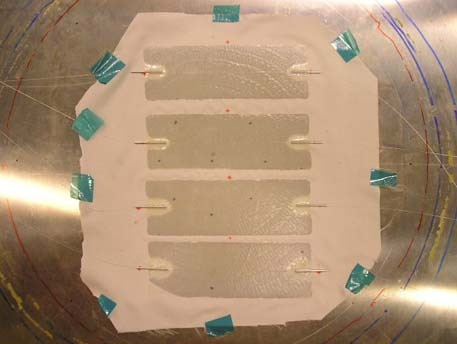 A portable autoclave was used to control the temperature and pressure schedules of the curing process of composite materials. The composite laminates incorporated various lay-ups, fibre orientations and fibre /matrix ratios to obtain optimal sensing performance.